An exciting part of discovering one’s new country is learning about the indigenous cuisine. Each country has its speciality dishes: Italian pizza, French raclette, Spanish tapas. At first it’s even a challenge to purchase familiar food items at the grocery store, especially if not yet comfortable with the native language. My first weeks in Prague, I subsisted on small sandwiches of deli sliced ham and cheese and fresh rolls. Ultimately I wanted to experience classic Czech cuisine. My first day in the city I took the tourist lure – I bit, so to speak – and got a sausage at one of the numerous small grill stands in the center. They had a few choices – light, dark, in-between, colors varying I suppose by the sort of meat. I chose randomly, with accompanying mustard and catsup. This particular sausage featured small hard bits that I wouldn’t allow my imagination to decifer. I would suggest not to try the darker-hued sausages for this reason. Sausages are also common fare at the numerous beer gardens, not only in Czech Republic but throughout Central and Eastern Europe. I was surprised to note that the sausage stands in the city sold beer and sometimes even cocktails. Maybe it’s the pairing of beer and sausages that makes the latter more palitable. But the drinking culture is so prominent, especially in Czech Republic, that it definitely garners it’s own blog post in the near future. The Czechs are more into bottled water, perliva (with bubbles) or neperliva (flat water). I’ve always loved bubbles and now prefer Mattoni, a Czech-based spring water that features a number of fruity flavors. Sure, it has a bit of sugar but I have to think it’s healthier than drinking sodas. on the menu at most restaurants, is Hungarian in origin but we tend to overlook that. Other common dishes are steak tatarska, the raw ground beef served with a raw egg and spices and vepřové koleno, roasted pork knee which I perhaps favor because it’s served on a wooden cutting board with a knife stuck in it and surrounded by condiments. If you can see a common thread here, it’s that the Czech cuisine is heavy on meat and sauces. Vegetables are often pickled (a friend recently told me of ordering a vegetarian pizza here where all the vegetables on it were pickled. Ha ha! a pickle pizza!). There are a number of farmers’ markets around the city during the summer for the freshest of produce, and shopping there supports the local growers. Nonetheless after my first year here, I split the seat of my jeans. I tried to blame it on the beer (a common saying here is “beer is food” ), but it was a combination of that and the meaty saucy cuisine. It was kind of like what we called in university, ‘the freshman forty,’ though I’m sure I didn’t gain forty pounds my freshman year in college or here. I cut my meat consumption and added more soups. Soup is a Czech staple and served with most lunches and dinners. Common soups include, garlic, pea, lentil, or mushroom. For those expats who insist on the flavors of home, there is a continuing insurgence of the Western chains – MacDonalds, KFC, and Burger King. I rarely frequented those places when I lived Stateside and was slightly horrified to see them infringing on my new Euro lifestyle. 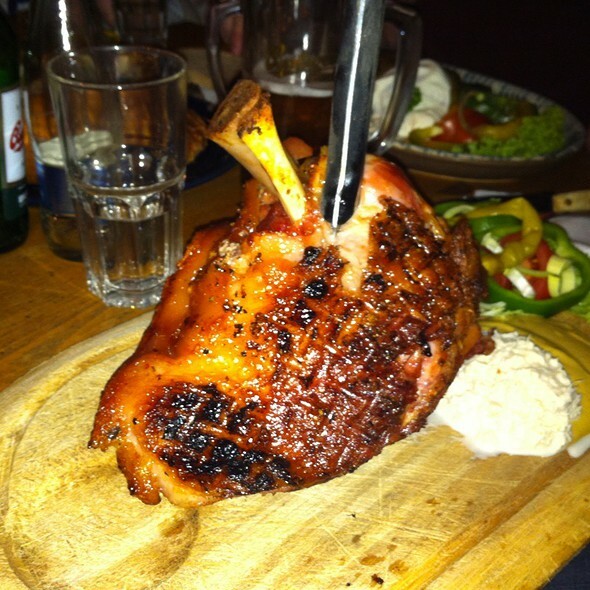 In Prague there are also local restaurants owned by long-time expats that specialize in expat cuisine. Jama for instance offers English, French, Irish, and American breakfasts as well as great burgers. Bohemia Bagel caters to a New Yorker’s bagel cravings, and more. I’ve also gotten together with international friends for dinner parties featuring a different native cuisine each month from Thai to French to German to American. Specific ingredients may be challenging but not impossible to find. Often times a special delivery from the specific native country will be necessary for a particular Indian spice or American cheese. There’s been more for me to adapt and accept here – the lack of cheeses besides the ubiquitous edam, the abundance of deep fried foods (even MacDonald’s now has smažený sýr), the delicous Czech potatoes, the lovely rye bread and forest grown mushrooms. The seasons and holidays like Easter and Christmas also feature interesting specialities. Wait for another post when I tell you what the Czechs traditionally eat for Christmas. 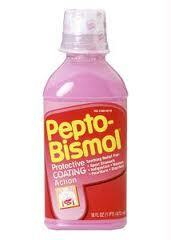 Back in the US, Pepto-Bismol was a staple in my kitchen. I’ve always had a bit of a dodgy stomach. But it was such a staple I once considered a new cocktail of Pepto and vodka. Here the viscous pink stuff is still available, if under a different brand. I’ve also found the local lekarna or drug store that stocks a special mineral water in a blue bottle called Zajecicka Horka, loosely translated as bitter water. It has a small mineral rock inside that dissolves with shaking. A glass or two has alleviated any gastro-intestinal distress brought about by overindulging in the Czech cuisine. I miss fresh seafood in a land-locked country, but sushi restaurants are popping up more and more. I miss salad bars, but that’s maybe a throw-back from my mass-consumptive American habits. I’m enjoying cooking more, and I look forward to experiencing different indigenous foods as I continue my travels. You remembered the ode to diet coke!!!! Love that you changed you soda habit!